Are you ready for jellyfish chips? 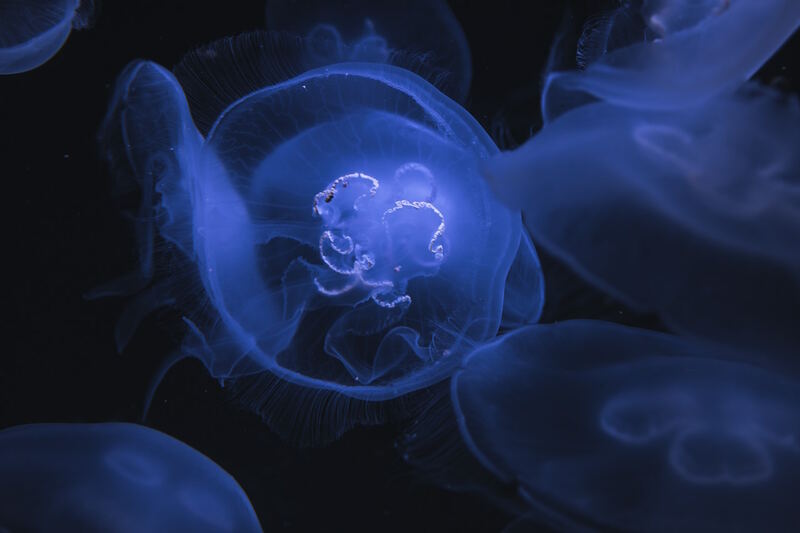 Jellyfish are majestic sea creatures that are perhaps notoriously known for causing painful stings, but they also make a tasty treat—jellyfish have been a staple in Asian cuisine for hundreds of years now. In fact, the first Chinese jellyfish recipe came from the Western Jin Dynasty in 265 CE and was considered a royal dish. Today, a team of Danish scientists is experimenting with ways to turn the sea jellies into a delicious snack. The result? Jellyfish chips. The New York Times has reported that because of climate change, the oceans are staying warmer longer, allowing jellyfish to breed freely (they can lay as many as 45,000 eggs per day). The scientists saw this as an opportunity to control the jellyfish population, hence the Go Jelly project was born. The arduous process of making jellyfish chips involves marinating them in salt for weeks. In order to make jellyfish chips, you need to marinade them in salt for weeks on end; but the team from the University of Southern Denmark in Odense found another way to “chip-ify” the tentacled jellies. “Using ethanol, we have created jellyfish chips that have a crispy texture and could be of potential gastronomic interest,” said Mathias P. Clausen, one of the researchers. Before consumers start seeing this as another passing food trend, it’s important to know that these chips are also healthy. Jellyfish are rich in vitamin B12, magnesium, phosphorus, iron, and selenium. Food & Wine also wrote: “Putting jellyfish on the menu or in the convenience store aligns with the rising tide of sustainable seafood.” So you definitely don’t need to worry about wiping the jellyfish community. As for the taste? Motherboard described it as “like the ocean.” You can watch the video below.